The systematic use of computer hardware, software, firmware and humane ware is known as a computer system. Computer system describes the arrangements of input unit, processing unit, output unit, software system, control panel, users and power supply to the computer system. A computer system may also be defined as the combination of essential components that makes computer to run smoothly. Basically computer system can be described as the logical structure of computer. It is known as the anatomy of the computer. Like its physical structure anatomical structures of computer also consist of the input unit, processing unit and output devices. Input unit of a computer are used for receiving data and instructions and communications. An input unit accepts the data and instructions given by the user and it converts the data and instructions from man readable to machine readable code. Some common input devices are mouse, keyboard, scanner, punched cards, disk reader etc. It is a part of Central Processing Unit (CPU) where all the given instruction, data and the results are stored during processing period. By using the unique address we can identify the locations of memory. There are different types of memory among them popular are RAM (Random Access Memory), ROM (Read Only Memory). Memory refers to the electronic holding place for instructions and data where the computers microprocessors can reach quickly. Computer needs memory to store the data and process them. Secondary Memory : It is the supplements of main memory. It is mainly used to transfer data or program from one computer to another computer. 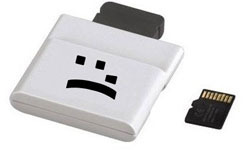 It also functions as back up devices which allows backing up the valuable information that you are working on i.e. storing data for future purpose. 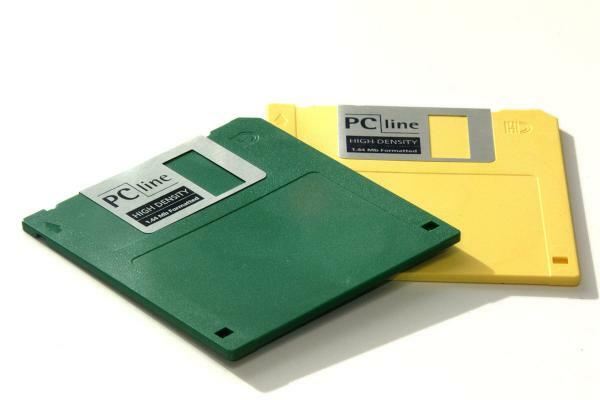 The most common types of auxiliary storage devices are magnetic tapes, magnetic disks, floppy disks, hard disks etc. Control unit is the unit which controls the entire system of computer. That unit directs all operations inside the computer. It will make a proper sequence to direct the data and instructions from the memory to ALU for precise operations performed by ALU. The control unit of the CPU consists of a small, high speed memory used to store temporary results and certain control information. It controls singles to various part of computer. The main functions of control unit are given below. It performs the data processing operations with aid of program prepared by the users and send control signals to various parts of the computer system. It gives commands to transfer data from the input device to the memory to arithmetic logic unit. It also transfers the results from ALU to the memory and then to the output devices. It stores program in the memory. It fetches the required instruction from the main storage and analyses each instruction and hence deduces what operation is to be performed. It comprises numbers of accumulators or resisters on its constructions. All the data from the memory directs by control unite gets loaded in ALU. It is one of the very important parts of the CPU. The primary task of the ALU is to perform various arithmetic and logical operations of the program.The arithmetic operations performed are addition, subtraction, multiplication and division. The logical instructions performed are logical AND operation, logical OR operation and logical NOT operation. It is the unit through which all the results are given out by output devices. There are two types of output soft and hard output. Soft output is the output that displays on the monitor and hard output is the output printed on the paper. 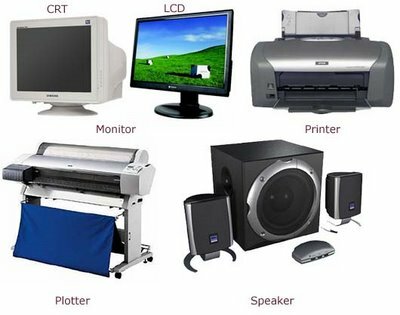 The popular output devices are: printers, monitor, plotter, sound etc. The systematic use of computer hardware, software, firmware and humane ware is known as a computer system. Input unit of a computer are used for receiving data and instructions and communications. 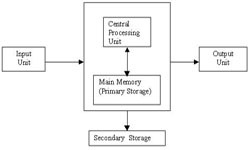 CPU consists of three parts: Memory Unit, Control Unit, and ALU (Arithmetic- Logic Unit). Output unit is the unit through which all the results are given out by output devices. Write short note on expert system. An expert system is knowledge based system with the capability of reasoning logical approach and come to the conclusion which may be applied in fifth generation computer. E.g. MYCIN is an expert system which is used in the field of medical science. The system of using more than one processor to solve a particular problem at the same time is called as parallel processing. Represent different storage unit of computer. The integration of input unit, processing unit, output unit along with necessary software working together to perform the certain task is known as computer system. List the main unit of computer system. 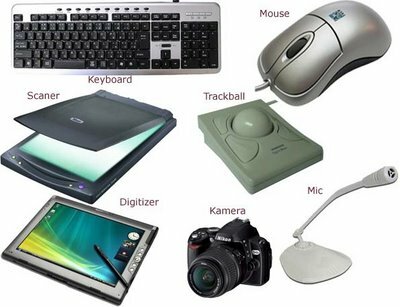 Which of the following is not input device? What is the fullform of ALU? Which unit controls the entire system of computer? Printers are considered as _________. Combination of data of differnet parts. Being aware of its benefits. Collection of data and instructions entered into the computer from Input devices. Manipulation of data as per given instructions. Result obtain from a computer. The result or information obtained from a computer system after data processing. One which store large volume of data. Capable of doing different kinds of work. Store very large volume of data. Combination of power supply unit , imput device and storage devices. Which work at high speed. The data and instruction given to the computer is called __________. The information obtined after the data processing is called __________. __________ is the logical sequence of steps undertaken by a program. outer look of the CPU box. device that accepts data and instructions from the input devices. Any Questions on ' Computer System '?